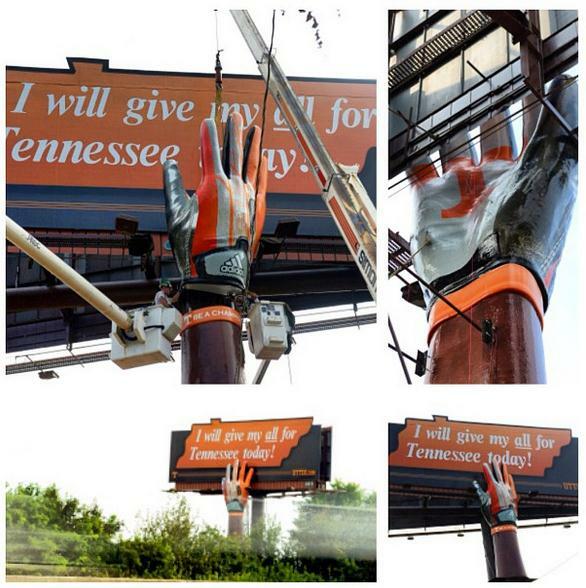 Tennessee has a new head coach, new smokey-colored uniforms and a new giant 3D billboard along I-40 entering Knoxville. “I’ll give my all for Tennessee today!” is the message Butch Jones and company are sending out to the college football world. Slapping the sign as players leave the locker room is a Tennessee football tradition. 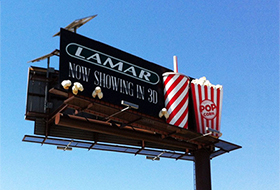 The University of Tennessee (with the help of their agency The Tombras Group and the 3D crew at Lamar Graphics) revealed a 3D billboard in Knoxville excited about opening football weekend. Go Vols!